Mince pies are one of those gluten free products that have boomed in recent years. Last year, I decided to try them again for the first time since I was about 12 years old. Suddenly, the festive must-have which I had always found disgusting was at the top of my shopping list – I loved them! I tried a few brands last year, with North Devon company Droppa and Droppa coming on top, closely followed by another South West company – Baked to Taste. You can read my full round up from last year by clicking here. 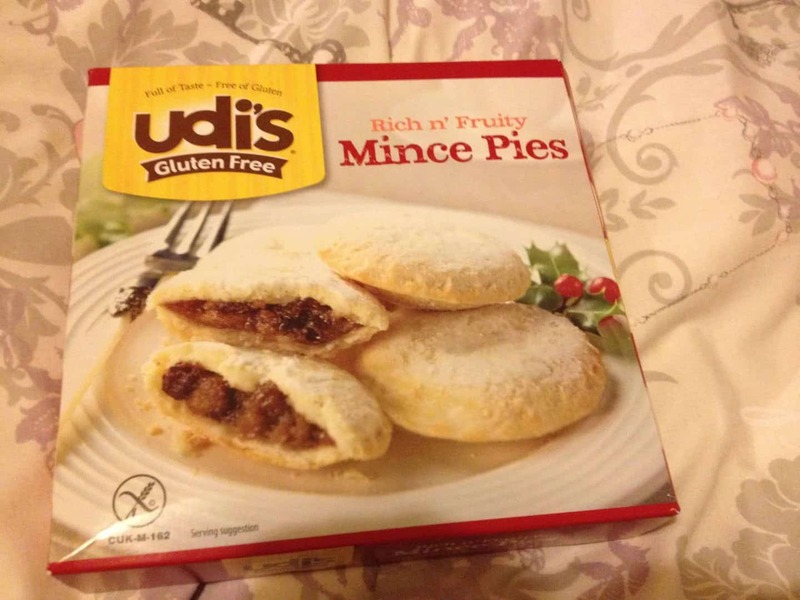 My first mince pies of 2013 came from Udi’s gluten free, which has the UK free from market with a bang a few months ago. I reviewed their toaster pastries (aka pop tarts) and ancient grain crisps last month, but now it’s high time I share with you their mince pies! Who ate all the mince pies!? 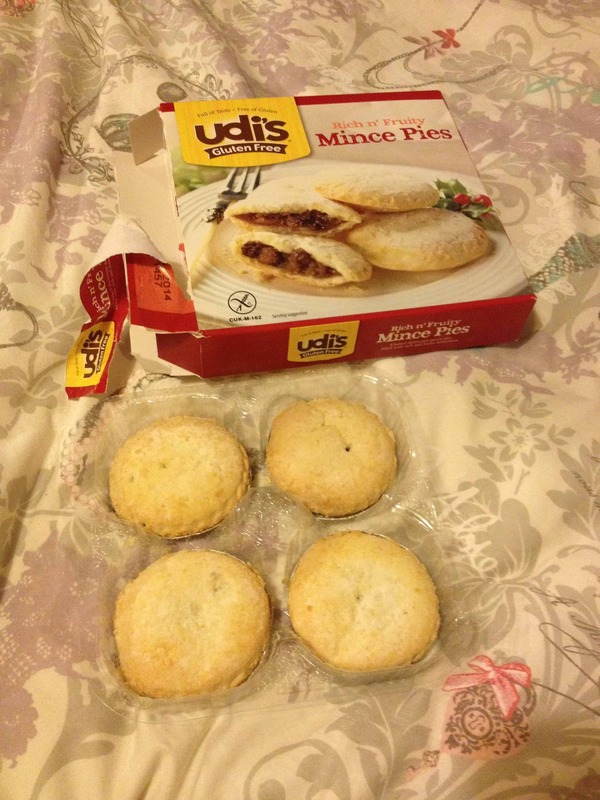 These mince pies were very tasty – considering they had been sent by courier they arrived in reasonably good condition. Some times pastry products that get sent to me arrive in pieces, but these held together well. 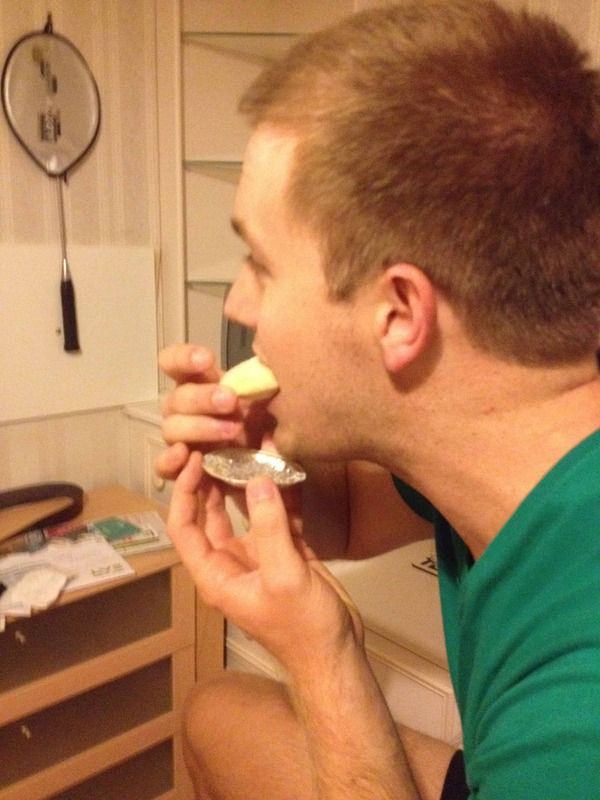 Yet, when I ate them, the pastry was still buttery and just crumbly enough – delicious. The filling was generous – not too sickly, but tasty and sweet. I would definitely buy these mince pies again, they are deliciously festive and I think they would be yummy scrummy heated up with custard or cream! I am currently in the process of making my own mince pies and trying to perfect them, so I haven’t yet had a chance to try any other brands this year. I have seen an iced variety in Sainsbury’s which look like something a bit different, and have heard a lot of good things about the M&S gluten free mince pies. What’s your favourite gluten free mince pie? Share your favourites in the comments below! Previous Post Christmas coffees at Costa Coffee – what’s gluten free? I’m with you, Udi’s can’t be beat, they are delicious and would you believe it, I can’t seem to get them any where.